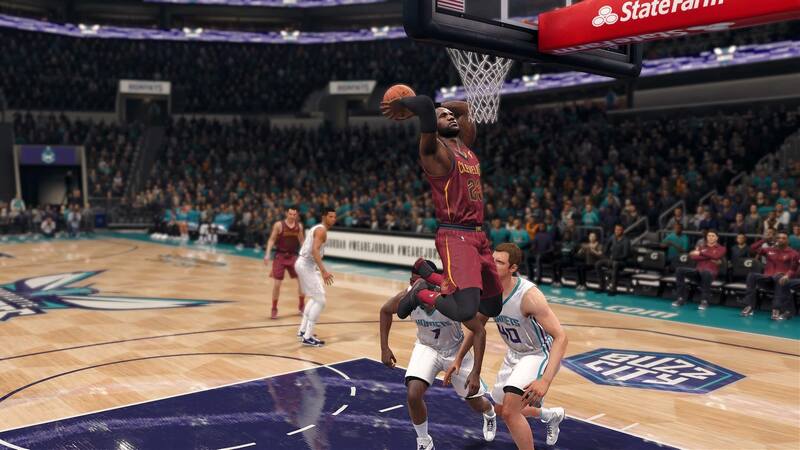 So after a strong start to the season for EA Sports and NBA LIVE 18, Nov. 8’s doubleheader brought an end to the perfect 6-0 mark correctly predicting the winning team for each game. Time for a new streak to begin. We’ve got the Cleveland Cavaliers and Charlotte Hornets facing off at 8 p.m. EST and the Philadelphia 76ers and Los Angeles Lakers in the second game at 10:30 p.m. EST. Let’s see how the game predicts things will play out. Will King James leave MJ’s house like he did the Garden? This is the 25th meeting in the regular season between LeBron James the player and Michael Jordan the owner. Since Jordan became Charlotte’s majority owner in March 2010, James is 23-1 against the Hornets, his best record against any team during that span. 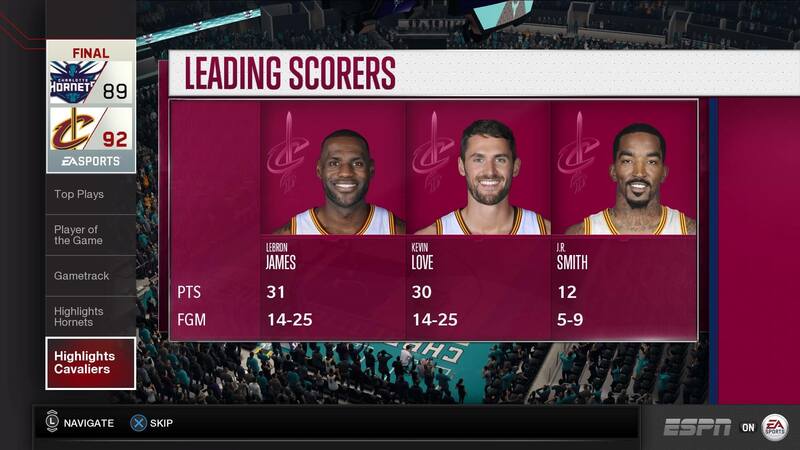 Cleveland trailed for most of this one, but Kevin Love ended up winning the big-man shootout with Dwight Howard by hitting the go-ahead hoop over the Charlotte center as the Cavs pulled out a tough road win, 92-89. 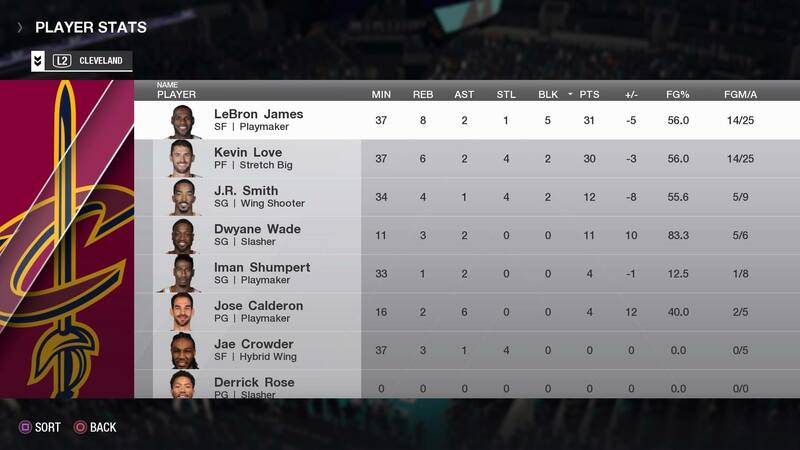 Love definitely had James’ back, dropping 30. Another skrong (word to Jameis) night from the King. Howard tried his best to keep the Cavs at bay. The big fella had 24 points and grabbed 11 boards. 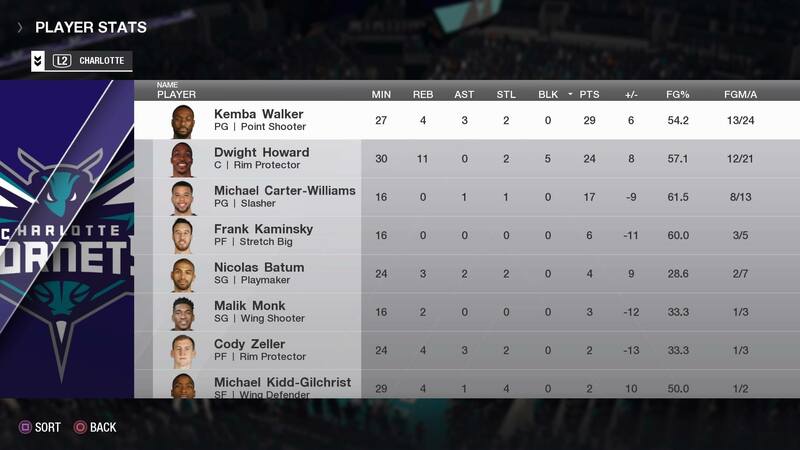 A big second half for Kemba Walker, who scored 17 of his team-high 29.
Who will Joel Embiid troll? Which Lonzo Ball will show up? Lakers fans have no chill. 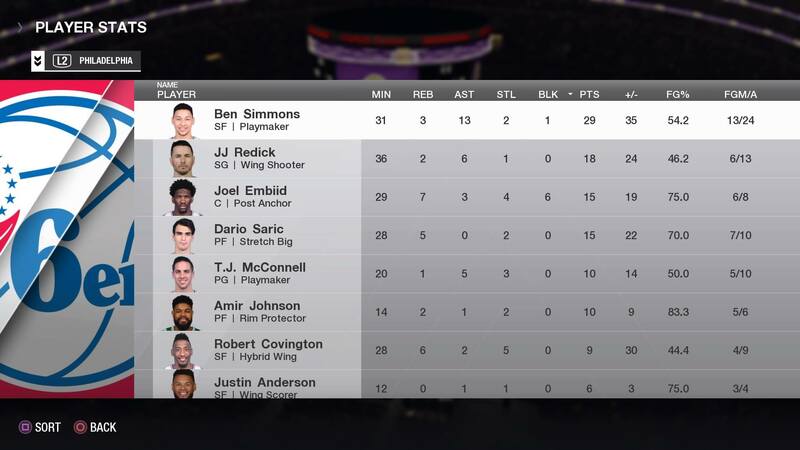 Game 2 of the Wednesday doubleheader was a joke, as nothing seemed to go right for the Lakers, with Philly cruising to a 116-82 laugher. 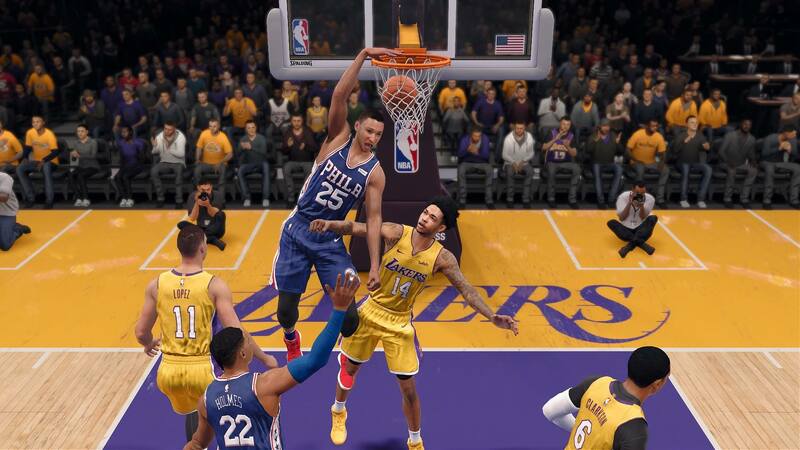 Ben Simmons made it known who was the best rookie on the floor. 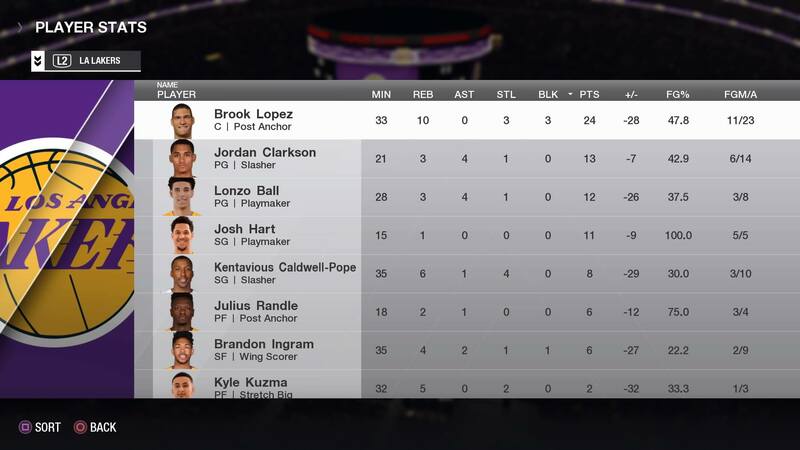 It was a slow start for L.A. and Ball, and nothing seemed to go right all night. Just 12 points and four assists for the Big Baller Brand point. Both games will be on ESPN and the ESPN App.